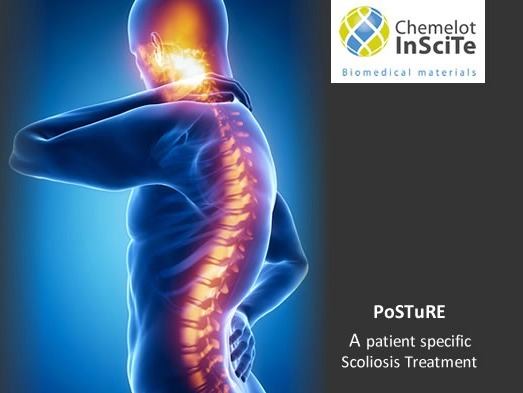 Scoliosis is a condition that leads to strong deformation of the spine. It occurs in children, often without obvious cause, but also later in life as vertebral collapse due to wear and osteoporosis. In severe cases, surgery is necessary. During such a procedure, the spine is straightened with metal wires connected to metal rods. However, in young patients this procedure must be repeated several times to allow growth. In the elderly bone strength is often lower and causes the procedure sometimes bone fractures and then re-operate required. This project introduces a new procedure in which the metal wires are replaced by wide woven polyethylene cables sliding on bars. Vertebral fractures can be prevented by winding these cables around the bone instead of using screws. During this project this new procedure will be clinically tested. It is expected that this new procedure will lead to a drastic reduction in the number of recurring surgery. Eindhoven University of Technology, Maastricht University and University Medical Center, DSM, Xilloc Medical BV.